Although we are a small school, we offer a wide range of extra-curricular activities. Children in Years 3 and 4 enter local sporting tournaments run by the Leighton Buzzard Schools Sports Partnership, for example Hockey, Netball, Tag Rugby and Cricket. The local sports co-ordinator is running lunchtime cycling proficiency sessions for our older children. Year 4 children attend a three day activity holiday in the Spring Term. P.T.F.A At Husborne Crawley we have an active Parent Teacher and Friends association who work tirelessly to raise money for the school, and organise fun activities for the children such as the popular discos and the annual trip to the pantomime. Please see the PTFA letters to find out more. In 2017 we will celebrate our 150th anniversary. We are planning a special celebration afternoon on Sunday June 25th 2017 and would like to invite all past pupils, parents and staff to join us on this day. 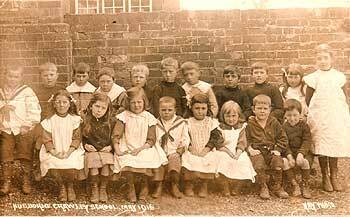 9th October 1867: Commenced school for the first time in Crawley. 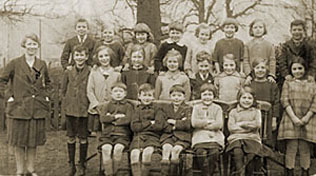 54 children.10th October 1867: Only 9 can write even small words or do a simple sum, the rest can hardly form a letter.